With this track design competition ToM hosts its second special event. It's a track making competition initialised by Kory Miller and supported by ToM. The aim is to design and build the best oval/roadcourse combination of all participants. 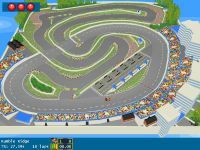 Participants have to build a track consisting of an oval and a road course. You can have more than one road course if you want, since this is your complex, but an oval and a road circuit are the minimum. The track has to be fantasy, not based on a real-life track somewhere. The road course(s) has to run through the oval at some point, and the pits have to be accessible from both the oval and the road course. 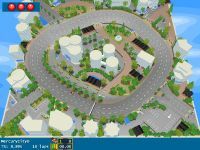 Participants have to release their work in the tracks section of the official GR forums and have to add "Circuit and Oval Design Competition" as a keyword or better keyphrase in their post. Or they can add [CODC] as a track tag. By entering this contest, you are giving permission for your track to be included in the final track pack, and in the racing competition to be hosted after the contest is over. After submitting your track, you are not allowed to change the land map, height map, or scenery. Altering of these items will result in disqualification. You can however, update the AI lines, pit placement, and checkpoints. So be sure you have your track pixel-perfect!! Due date for track submission: July 31st at 11:59 PM GMT. Voting will take place the following week in a similar way to the common ToM-voting system. More informations about this will released later. For any further questions or latest hints visit the competition thread in the "Tracks" section of the forums. If you have any questions, please contact Kory Miller via PM.